This is a bucket list fish for me. 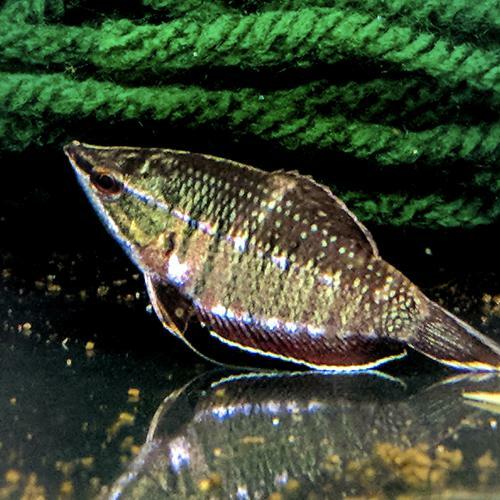 The most beautiful and uncommon of the chocolate gourami group, these are peaceful, sedate fish which won't bother even small fish. This group is trained to eat flakes and pellet foods. They also like frozen and live foods.